https://brawlingbrothers.com/wp-content/uploads/2015/07/cropped-boards-alive-tombstone-logo-zoom-in2.png 639 903 Brandon Nall /wp-content/uploads/2015/04/logo-small.png Brandon Nall2015-07-30 10:31:192015-07-30 10:40:11Check Us Out in "Boards Alive Podcast Monster Mash-Up - Episode 1"
We at Level 99 Games are excited to introduce EXCEED, the newest series in our family of dueling card games! After nearly two years of work and countless revisions, we are finally ready to bring EXCEED to life! EXCEED is a 2-player fighting card game that simulates the flow of 2D Fighting Games, with a focus on insightful play, calculated risk, and fast-paced tactics. In EXCEED, each player chooses a 30-card deck representing a single fighter, or mixes together two decks to form a Tag Team, and then uses their fighter or team to do battle and defeat their opponent. As they fight, players’ hands will constantly change as options increase and decrease, and individual options become stronger and weaker based on your position and the opponent’s position. Will you press your advantage as your opponent’s hand shrinks, or take the opportunity to bolster your own options or set up a better position? Each card can be used as an attack, or as a powerful boost action that gives you more choices in combat. As you fight, hitting your opponent will increase your Gauge. Accumulate enough Gauge and you can unleash powerful Ultra Moves, or permanently upgrade your character by going into Exceed Mode! EXCEED uses some of the key resolution mechanics from the hit game BattleCON, but remixes them for a completely new experience. 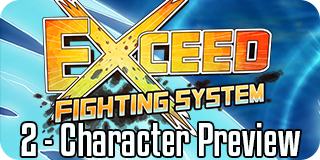 EXCEED is designed to be enjoyed by both new players and fighting card game veterans alike, and will exist alongside BattleCON as an ongoing series available from Level 99. Soon, Level 99 Games will be bringing to life the first “season” of EXCEED. Each month, we’ll be releasing a new Duelist Deck featuring four different fighters. Four of these decks will comprise a season of the game, and each season will feature a new license, introducing a different world of characters. Their first season features the fighters of Red Horizon, a property first introduced by Jasco Games in their Universal Fighting System Collectible Card Game. Future seasons will feature different properties from video games, anime, and other tabletop worlds, as well as all-new original Level 99 Games properties. Want to try EXCEED for yourself and see what all the fuss is about? You can download two complete demo decks here and try it for yourself! Level 99 Games be running a Kickstarter project in the next few weeks for those who want to get in on the ground floor of EXCEED and score some extra promotional cards and fighters. Thanks for checking out EXCEED! What do you think? 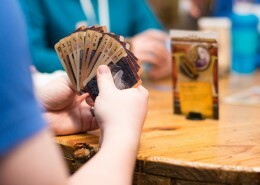 Come post on Board Game Geek and share your experience with the demo decks! Portal Games announces Boardgames That Tell Stories 2 – the second book by Ignacy Trzewiczek. Gliwice, Poland – June 9th, 2015. 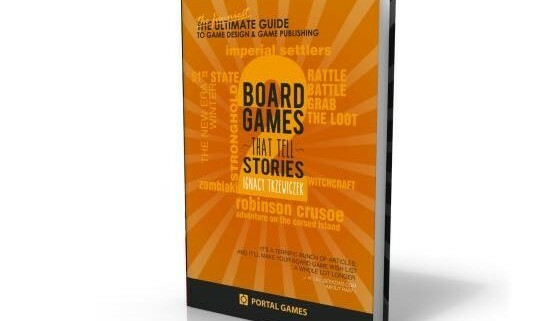 Today, Portal Games announced Board Games That Tell Stories vol.2, a new book by Ignacy Trzewiczek and its launch on Kickstarter! Two years ago Ignacy Trzewiczek had a dream. A dream where he is sitting in a library and writing new stories and essays about board games. Then, in his mind, a new idea was born to collect all of the stories on his blog and make one book. A book where people can find articles about Board Games That Tell Stories. That dream came true and thanks to Kickstarter he released his first book „Board Games That Tell Stories”. Ignacy, returns with a new volume of stories picked from his blog! New stories, new anecdotes, and lots of fun! This time the book contains the best stories from Board Games That Tell Stories during the years 2013 and 2014. Volume 2 will also include new essays which were written exclusively for the book and unique photos of early prototypes of Ignacy’s games! The project launched on Thursday, June 4th and runs through Monday, July 6th. Back Boardgames That Tell Stories TODAY! https://brawlingbrothers.com/wp-content/uploads/2015/06/11401152_1009051842480668_8145499936617443378_n.jpg 501 560 Brandon Nall /wp-content/uploads/2015/04/logo-small.png Brandon Nall2015-06-10 10:47:282015-06-10 10:49:46Boardgames That Tell Stories 2 - Now on Kickstarter! , is proud to announce that their Grand Opening will be held on June 20th, 2015 in Albuquerque, New Mexico! 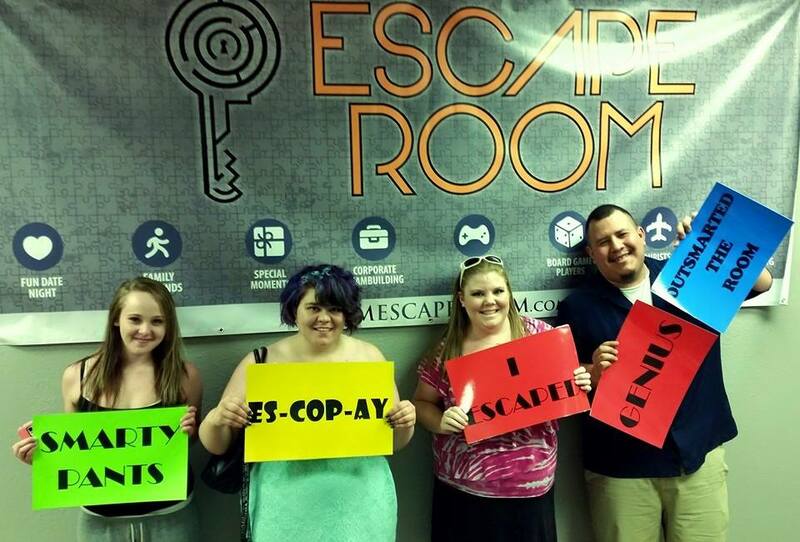 You may be asking yourself “What is an Escape Room?” Hopefully we can give you all the right clues to figure it out! 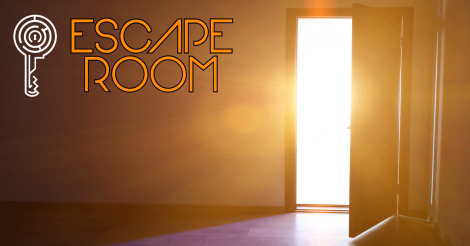 NM Escape Room is a local, family, and woman-owned small business that will be bringing a new level of excitement to Albuquerque, NM! 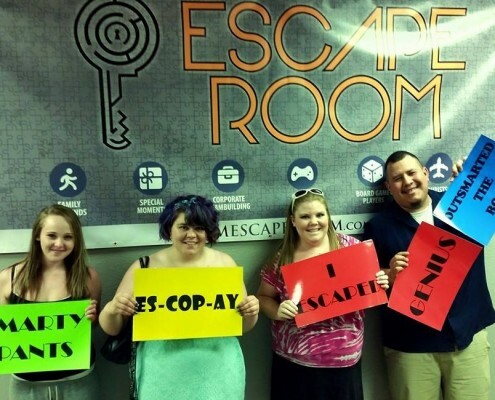 Like other escape rooms across the nation, NM Escape Room is an entertainment venue that offers a 60 minute experience for groups of two to eight (2-8). 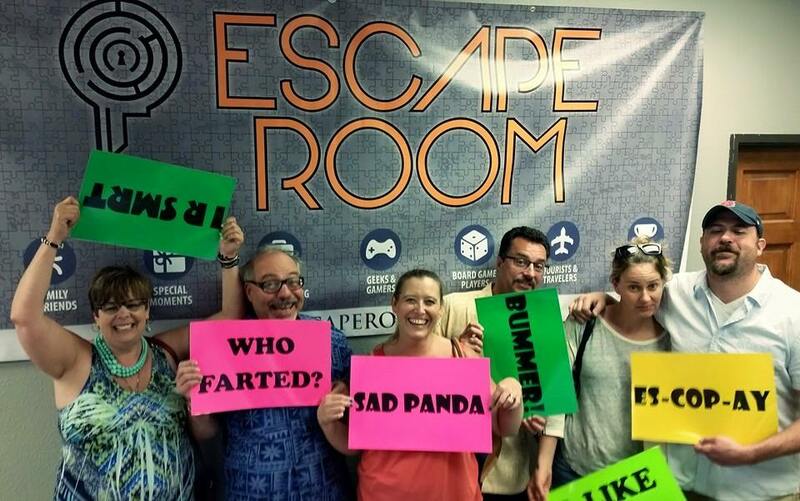 The objective is simple: work together, find clues, decode messages, and solve puzzles to unlock the door to freedom. If you can complete the pre-determined requirements in the allotted time of sixty (60) minutes you achieve success! 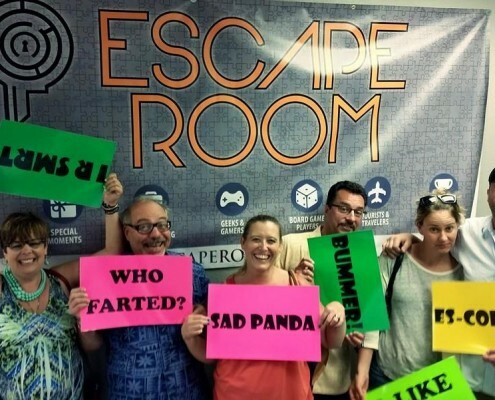 If you do not complete all of the requirements, or if you do not finish in the sixty (60) minute window, you are let out of the room and you are unsuccessful in your escape attempt. 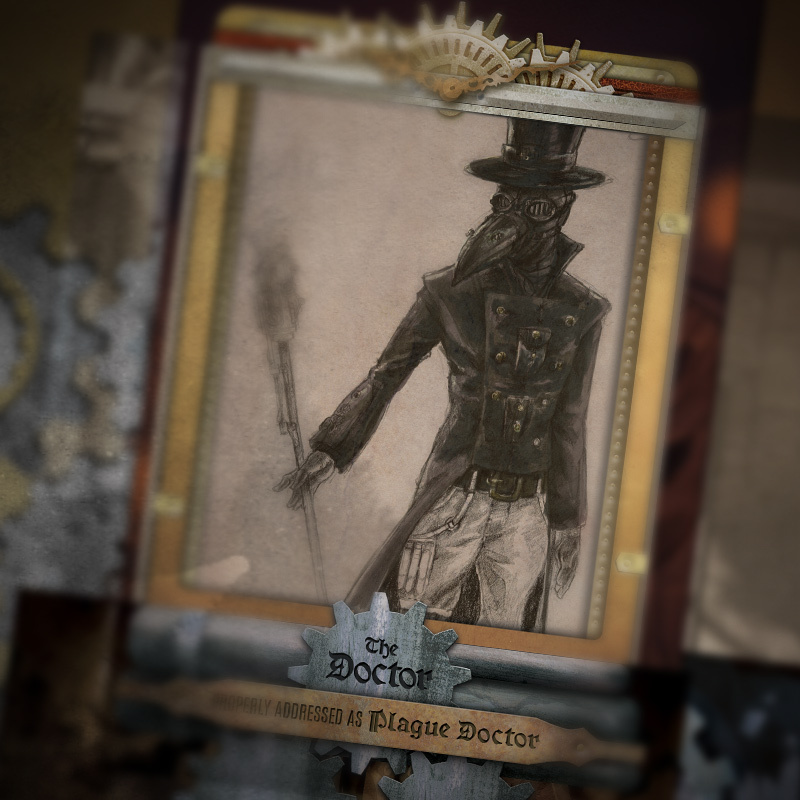 The initial experience is called “The Blood Map” and is set in a Victorian-themed room that takes place in the Wild West. 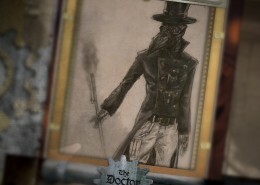 The brief synopsis that follows can also be found on the official website www.NMEscapeRoom.com. If you’ve never played a live escape scenario experience before, this Victorian themed room is the place to start! 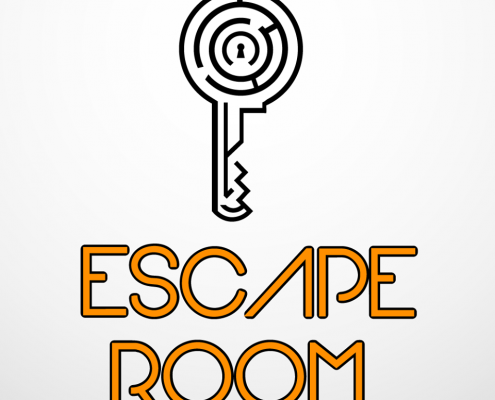 NM Escape Room is opening their first location at 3916 Carlisle Blvd. NE Suite C, Albuquerque, NM 87107 located on Carlisle, just North of Comanche. The primary location will open its doors with one themed room, but there are plans to expand the location to include three, separate themed rooms. The fun begins the week of June 8th through June 11th, and continues through the week of June 15th through June 19th, during the soft-launch weeks leading up to the Grand Opening weekend (Saturday June 20th, 2015). The second soft launch week is open to all those in the media and VIP guests. If you are interested in attending during this week (Primary Days for VIPs and Media: Tuesday June 16th through Friday June 19th), please contact Sky Carlisle, Marketing & Media Director at 505-453-1323, or sky@carlislemediaconsulting.com to schedule your time. The first days open to the public will take place on Saturday June 6th and Sunday June 7th. 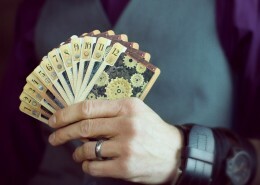 Information on booking can be found at www.nmescaperoom.com/book-now. The official Grand Opening will take place on Saturday June 20th, 2015 at the location listed. 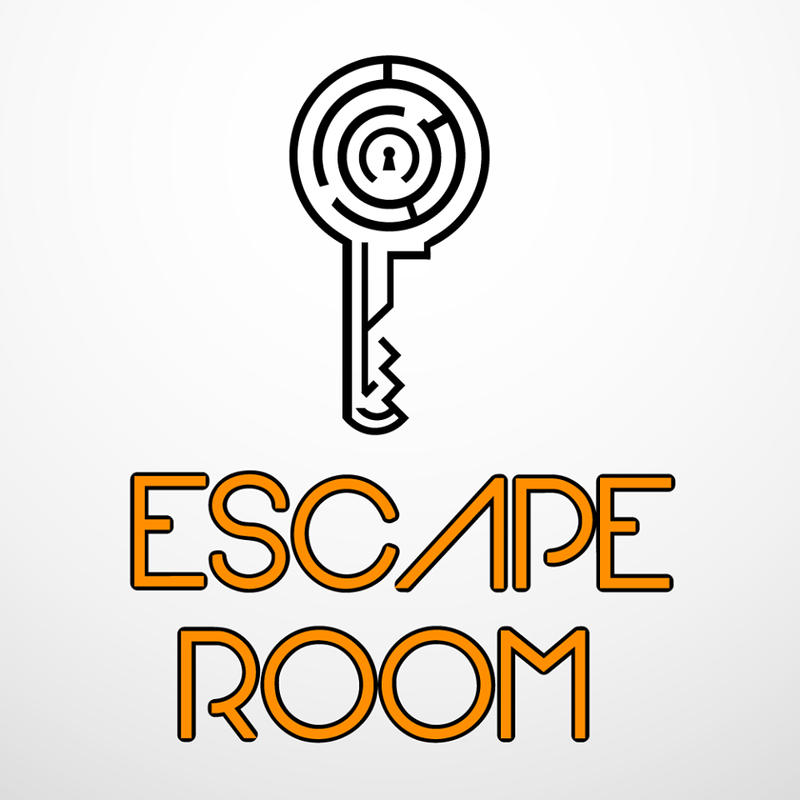 During the hours of 11am-3pm we will have a citywide scavenger hunt that challenges teams from all over the City of Albuquerque to solve puzzles, put the clues together and get back to the NM Escape Room location. In addition, on June 20th we will have our official ribbon-cutting ceremony and be providing tours to city officials, media, VIPs, and our friends in the chambers and other local support systems that have helped launch such an incredible entertainment venue. More details to come in the following days. https://brawlingbrothers.com/wp-content/uploads/2015/06/safe_image.png 246 470 Brandon Nall /wp-content/uploads/2015/04/logo-small.png Brandon Nall2015-06-09 13:00:162015-06-10 15:04:57ESCAPE ROOM New Mexico's First and ONLY Escape Room! Tantrum House, a Greenville-based board game company, launched a Kickstarter campaign for its game Steam Court on May 28. For a pledge of $25, backers will receive a copy of the game and any unlocked stretch goals. In Steam Court, players take on the role of Court Engineers who attempt to catch the eye of the Queen and other high-ranking courtiers by displaying their mechanical prowess. 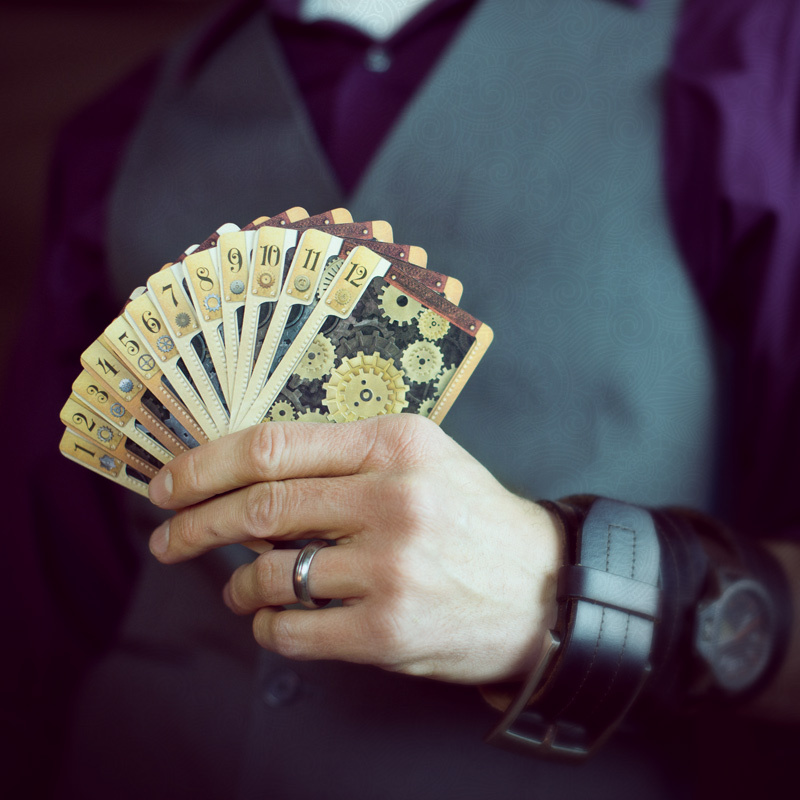 Using their dealt hands of gear cards, players try to take tricks with the ultimate goal of being the first to play all their cards. The Queen rewards such displays of skill by snatching up the most successful engineer as her own — and awarding that player the most victory points. Each Quarter, players switch characters depending on the order they went out. The player who amasses the most points by the end of the fourth Quarter wins. For a more casual game, Steam Court has a simpler, non-victory point variant. Tantrum House is a company run by board game lovers, critiquers, and designers. In addition to designing Steam Court, Tantrum House publishes high quality, but very concise video reviews of board games on their YouTube channel. 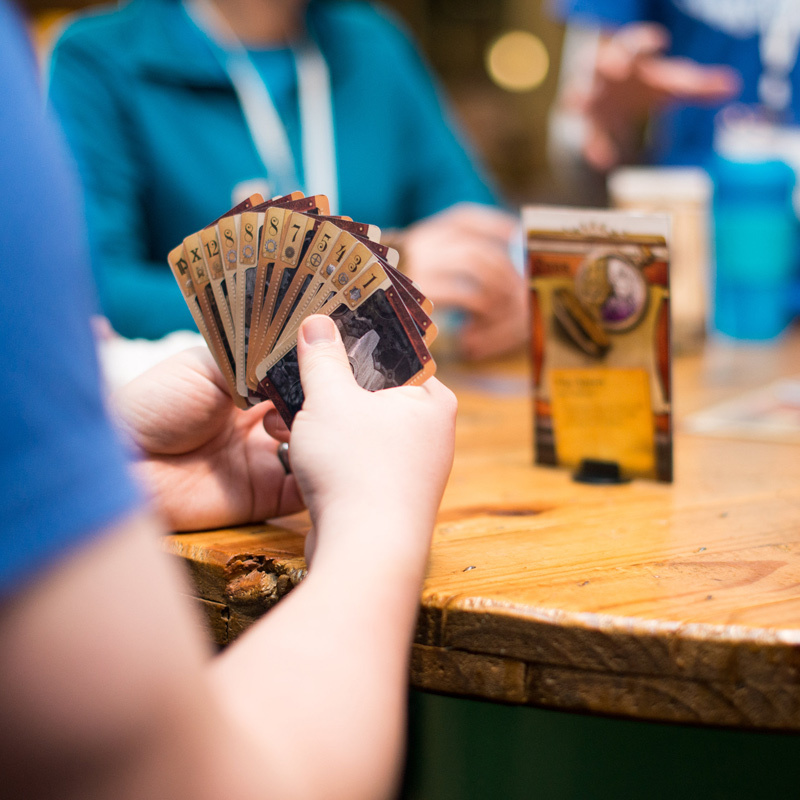 They host monthly game nights at a local coffee shop, design custom tabletop themed apparel, and have ideas for a number of new board games that they would like to bring to market in the future. Origins Game Fair 2015 – BB will be there! We are happy to announce that Brandon will attending Origins Game Fair 2015 in Columbus, OH from June 2nd to the 7th. If you are a listener and would like to meet up with Brandon to play or talk about games, shoot us a message on BGG or on one of our social media accounts! https://brawlingbrothers.com/wp-content/uploads/2015/04/10275610_802411483144850_1112432715573791918_o.png 1261 2004 Brandon Nall /wp-content/uploads/2015/04/logo-small.png Brandon Nall2015-04-23 08:29:282015-04-23 08:31:26Origins Game Fair 2015 - BB will be there!